Edmund Dudley (c. 1462 or 1471/1472 – 17 August 1510) was an English administrator and a financial agent of King Henry VII. He served as Speaker of the House of Commons and President of the King's Council. After the accession of Henry VIII, he was imprisoned in the Tower of London and executed the next year on a treason charge. While waiting for his execution he wrote The Tree of Commonwealth. Edmund Dudley was also the grandfather of Robert Dudley, 1st Earl of Leicester, a favourite of Henry VII's granddaughter, Elizabeth I.
Edmund Dudley was the son of Sir John Dudley of Atherington, West Sussex and a grandson of John Sutton, 1st Baron Dudley. After studying at Oxford, and at Gray's Inn, Dudley came under the notice of Henry VII, and is said to have been made a Privy Councillor at the early age of 23. In 1492, he helped to negotiate the Peace of Etaples with France and soon assisted the king in checking the lawlessness of the barons. He and his colleague Sir Richard Empson were prominent councillors of the Council Learned in the Law, a special tribunal of Henry VII's reign, which collected debts owed to the king, requested bonds as surety, and employed further financial instruments against high-born and wealthy subjects. Henry VII took a strong interest in these procedures and closely supervised the accounts of the two men. Dudley was elected MP for Lewes, in 1491, and knight of the shire for Sussex, in 1495. In 1504, he was chosen as Speaker of the House of Commons. While collecting the king's money, Dudley amassed a great amount of wealth for himself, which resulted in estates in Sussex, Dorset, and Lincolnshire. When Henry VII died in April 1509, Dudley was imprisoned, and charged with the crime of constructive treason. 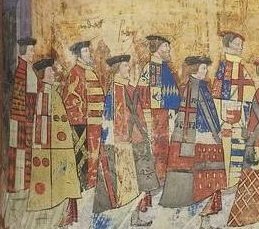 Dudley's nominal crime was that during the last illness of Henry VII he had ordered his friends to assemble in arms in case the king died, but the real reason for his charge was his unpopularity stemming from his financial transactions. He was attainted and made preparations to escape from the Tower of London. He gave up his plan, though, when parliament did not confirm his attainder, which led him to believe that he would be pardoned. However while in prison he declared a will. Dudley and his colleague Empson were executed on 17 August 1510 on Tower Hill. During his imprisonment, Dudley sought to gain the favour of King Henry VIII by writing a treatise in support of absolute monarchy, called The Tree of Commonwealth. It may, however, never have reached the king. Several manuscript editions survive: the earliest was possibly commissioned by Dudley's son, John Dudley, Duke of Northumberland; while the second oldest was made by John Stow in 1563 for Dudley's grandson, Robert Dudley. Elizabeth Dudley (born c.1500), who married William Stourton, 7th Baron Stourton. Jerome Dudley (d. after 1555), destined for the Church by his father, yet was mentally or physically incapacitated. This article incorporates text from a publication now in the public domain: Chisholm, Hugh, ed. (1911). "Dudley, Edmund" . Encyclopædia Britannica. 8 (11th ed.). Cambridge University Press. p. 363. The title of Viscount Lisle has been created six times in the Peerage of England. The first creation, on 30 October 1451, was for John Talbot, 1st Baron Lisle. Upon the death of his son Thomas at the Battle of Nibley Green in 1470, the viscountcy became extinct and the barony abeyant. Sir Richard Empson, minister of Henry VII, was a son of Peter Empson. Educated as a lawyer, he soon attained considerable success in his profession, and in 1491 was a Knight of the shire for Northamptonshire in Parliament, and Speaker of the House of Commons. The Council Learned in the Law was a highly controversial tribunal of Henry VII of England's reign. Henry Algernon Percy, 5th Earl of Northumberland, KG was an English nobleman and a member of the courts of both Kings Henry VII and Henry VIII. Elizabeth of York, Duchess of Suffolk also known as Elizabeth Plantagenet was the sixth child and third daughter of Richard Plantagenet, 3rd Duke of York and Cecily Neville. She was thus a sister of King Edward IV and of King Richard III. William Stourton, 7th Baron Stourton was the eldest son of Edward Stourton, 6th Baron Stourton, and his wife Agnes Fauntleroy, daughter of John Fauntleroy of Dorset. Sir Edward Grey, 1st Viscount Lisle was an English nobleman who was created Viscount Lisle in 1483, in recognition of his wife's descent.